THE VILLAGE AT HIDDEN LAKES: NW Marion County's Equine friendly gated community with 4+ Acres and a home built for entertaining. The spacious gathering room with fireplace is open to kitchen so the chef can be a part of the party. Office and split floor plan which offers ample privacy. A screen enclosed lap pool and spa plus outdoor sun deck invite you to relax and entertain your guests. 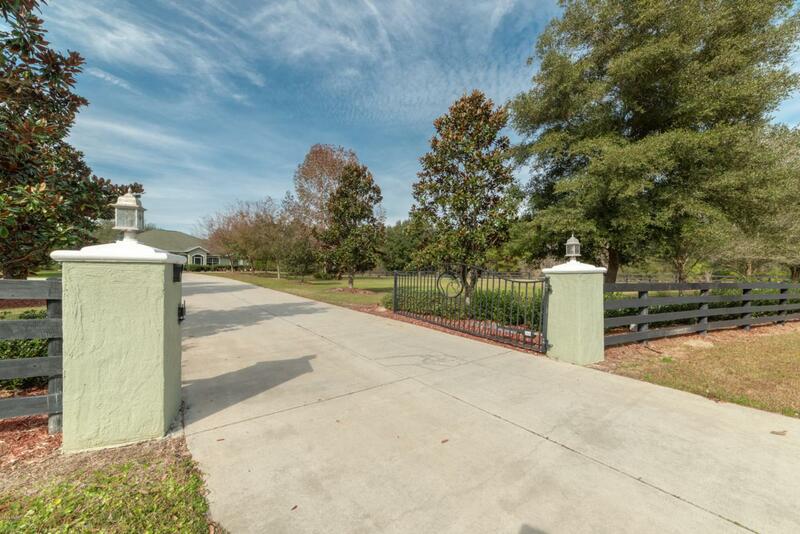 The 3 Stall center aisle barn with feed room & carport for your horses & 3 lush paddocks. Convenient trails for riding, walking or running.